Electricity flows by the movement of electrons through conductors. 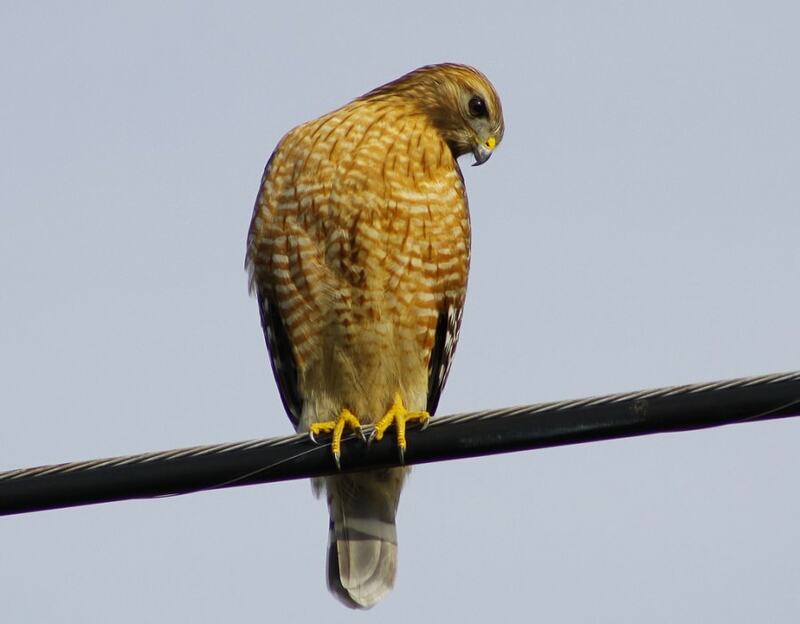 Compared to the bird, the copper wire of power lines is a better conductor of electricity, . When the bird sits on a live wire, her body becomes charged for a moment, but no current will flow into her body because it is a poor conductor of electricity. Also, there’s no voltage difference in a single wire and electricity only flows from areas of high voltage to areas of low voltage and vice versa. Electricity flowing through a single power line will continue along the path of least resistance, i.e. copper wire and bypass the bird. However, if the bird were to touch the ground while sitting on the wire or flap its wings in such a way that it touched another electric wire with a different voltage, then it would get shocked and likely electrocuted. This is because its body would become a path for the electricity to reach either the ground (no voltage) or a place with a different voltage (another wire at a different voltage), so electricity will flow due to the voltage difference. This rarely happens because power lines tend to be very high up in the air and are spaced far apart. In my experience, electrocution happens more frequently with squirrels than birds. 1. If birds only touch one wire, there is no circuit, so they will be fine. 2. If they are dry and touch two wires, their feathers would likely not conduct electricity very well, and they should be okay. 3. If they are wet and touch two wires, they will immediately be electrocuted and killed, and the wire will need repairs.